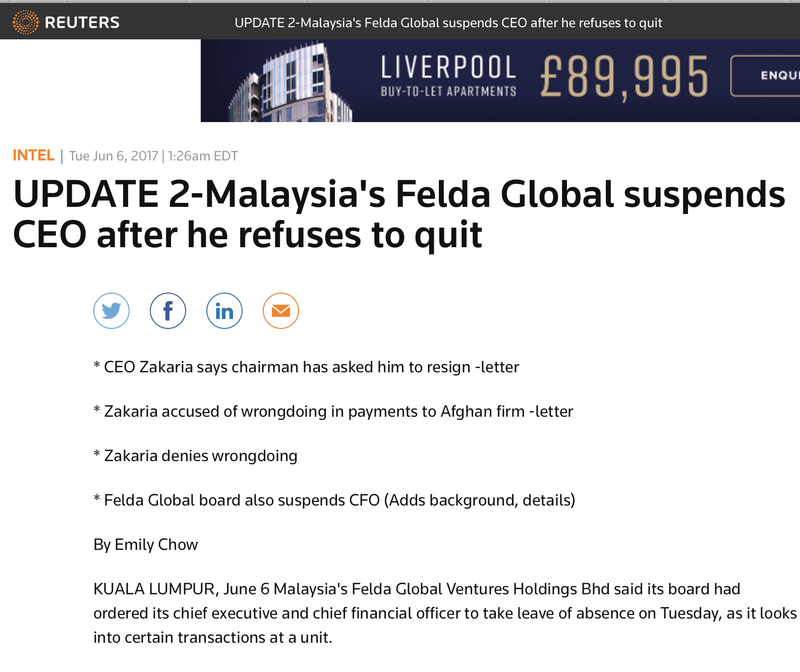 June 7: MACC and Zakaria meet today on corruption in FGV, according to Reuters h e r e. The story doesn't say but I was told that the suspended CEO may have called the anti-graft team in. Good news, as far as shareholders are concerned. Both Isa and Zakaria should resign, Malaysiakini quotes Umno man. 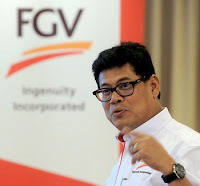 TTDI, 6 June: When Zakaria Arshad took over as Felda Global Venture's third CEO on April's Fool Day last year, I wondered how he would be getting along with Isa Samad, who was then Chairman of both the public listed FGV and the Federal Land Development Authority. Both his predecessors didn't have many happy stories to tell about their working relationship with Isa, that much I knew. 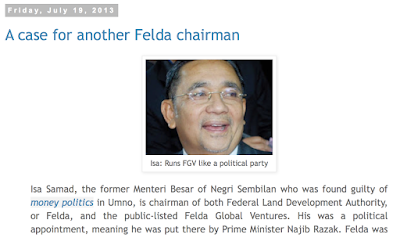 In January this year, Shahrir Samad replaced Isa as chairman of Felda, leaving Isa with FGV. I thought then that PM Najib Razak was finally going to let go of Isa and make way for younger talents. But at a board meeting last May 31, it was Zakaria who was told to go by Isa during a Board meeting. The CEO refused, said Isa had no ground to stand on. 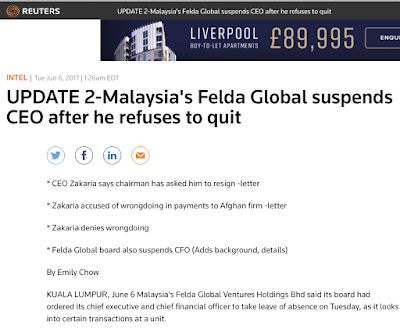 For defying Isa's demand that he quit, Zakaria has been suspended from today "pending a probe of certain deals under Delima Oil Products Sdn Bhd, which is a subsidiary of FGV". In a statment to Bursa Malaysia, FGV said "It would continue its business as usual". It should be anything but "business as usual" at the FGV.